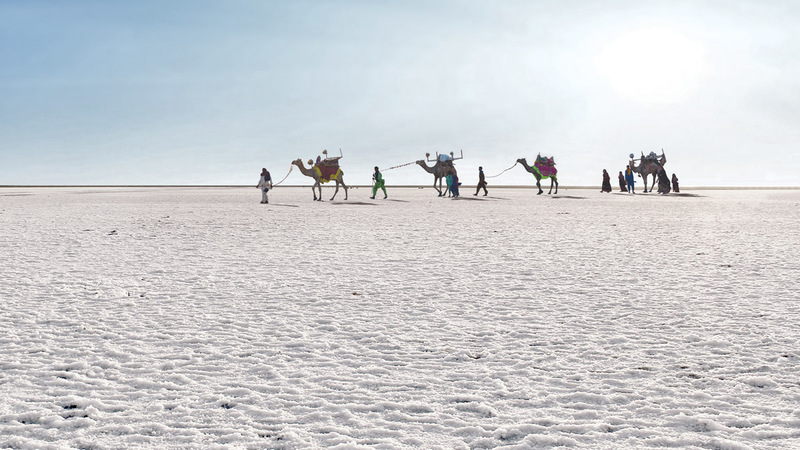 On the westernmost tip of Gujarat, lies India’s most scenic view, The White Rann. The largest salt marshland of India, it is located in Kutch district, and is just 15 meters above the sea level. The expansive desert is nothing but crystals of white salt shimmering on a full moon night. The White Rann experience is known for its mesmersing beauty and is shared with the world through Rann Utsav (Tent City in Dhordo), a 3-month long desert festival. What others thought of as a barren land is brought to life with the celebration of culture, tradition, food, and its people. 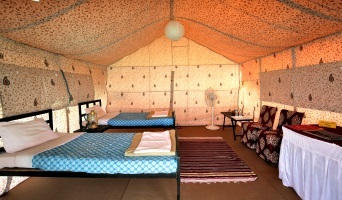 Accommodation at Rann Utsav - The Tent City Dhordo A cosy stay. A lavish abode. Elegant interiors with classic furnishings, The Rajwadi Suite will make you live life like king size. Indulge yourself in royal comfort. 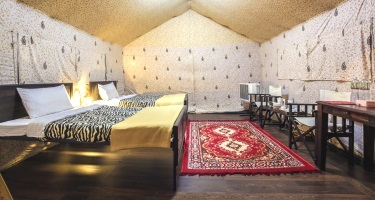 The Premium Tent pampers you with its cosy interiors and exquisite fabrics. Make your trip comfortable with this delightful luxury. A snug retreat with a fine touch of the local tradition. 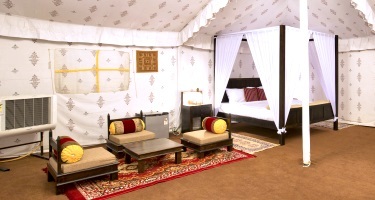 This tent is so spacious that will make you relax after a long day of revelry. This tent will make you feel at home with charming front porch and its delightful interiors and flooring done in the style of mati-lipan. The journey from your arrival at Tent city, Bhujodi to Rann Utsav, various tourist places and adventures will make it memorable. 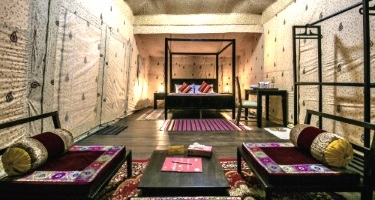 From the moment you step in Rann Utsav’s Tent City a warm welcome awaits to greet you in a traditional style followed by mouth watering lunch. At afternoon you can indulge yourself in an array of activities at our club house. Your evening start with a refreshing cup of tea/coffee to make you energise for Camel Cart/Bus Ride to White Rann and let you experience the grandeur of the sunset. With the moon above your tent, enjoy your finger licking food with stars twinkling above. The nights are more entertaining when locals bring in the Kutchi culture and tribal dance and music at activity area. The mornings are breezy and sky is little misty for a once-in-a-lifetime Sunrise at White Rann. 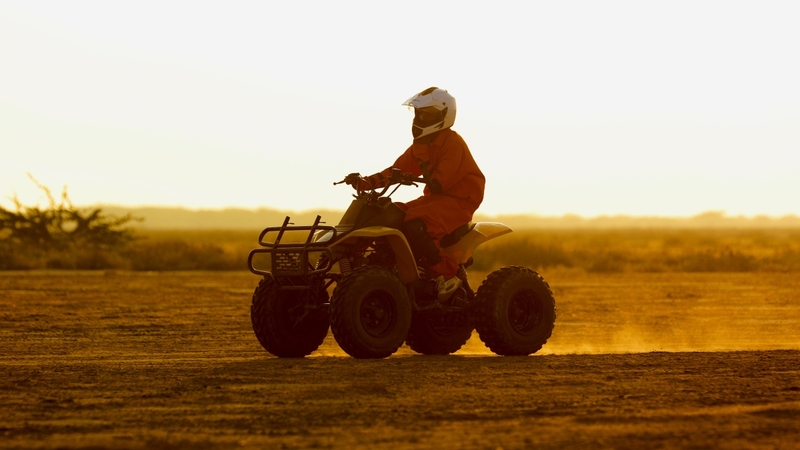 Have your delicious meal and gear up for some exciting and adventurous activities like ATV Ride, Skyzilla, Paramotoring and other in-house activities at the Tent City in Rann Utsav. Bring out the adventurer in you and experience it by pushing your limits. 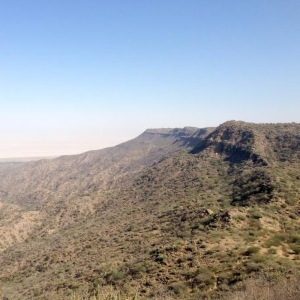 Let us all climb up to the highest peak of Kutch i.e. Kala Dungar, to view how long the White Rann has spread its expanse. 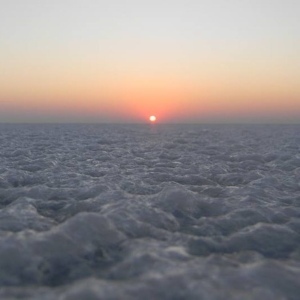 The sunset at Kala Dungar and an aerial view of White Rann looks perfect for your evening. All that climbing and adventure activities have surely made you hungry. Enjoy mouth-watering delicacies and enjoy your night with some soothing music and tribal dance. 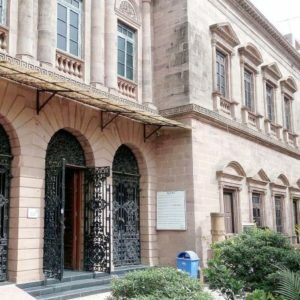 Hope you had a good night’s sleep because the day is packed with a lot of tourist places to visit like Sri Swaminarayan Temple to get blessed, Kutch Museum to discover the history of Kutch and locals, Bhujodi to explore culture and tradition of Kutch, Vijay Vilas Palace to know about the era of Kings and Queens, and much more. So let’s roll to click some beautiful pictures to mark an end of your salty yet sweet and memorable trip to Kutch’s Rann Utsav. 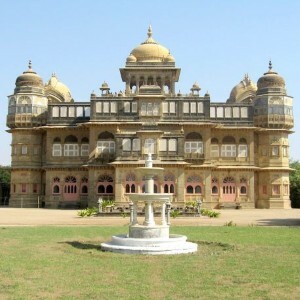 Vijay Vilas Palace, Bhujodi etc. Completely mesmerizing experience. Loved the entire set up of the tent city. Including the hygiene and hospitality they maintain. 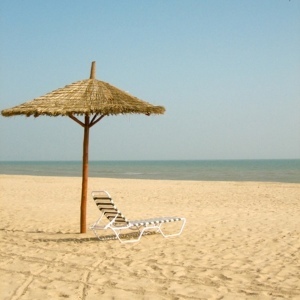 Visit to Mandvi beach was absolutely enchanting. White Rann was also worth watching. Will definitely love to be a part of this Utsav again! Amazing and fun filled experience. People are very courteous and service is beyond imagination. Mouth watering food and all sorts of entertainment. We did not time to think outside the rann utsav. Must visit place. Great place and great hospitality, must visit and best time to visit is around December to January end offering gr8 buffet and spectacular view and lots of activity. Advance bookings are must before 2 months & they offering pickup and drop facility from railway station and airport also. 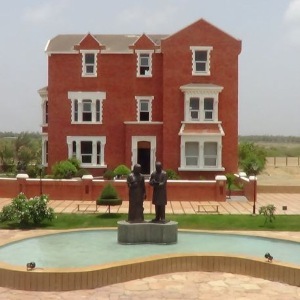 A great concept by Gujarat Tourism, economical, absolutely stunning views of sunset and sunrise in the desert, apart from that an extensive number of dishes offered in breakfast, lunch and dinner. A must visit. To explore the white sands of Rann, you should visit this place. 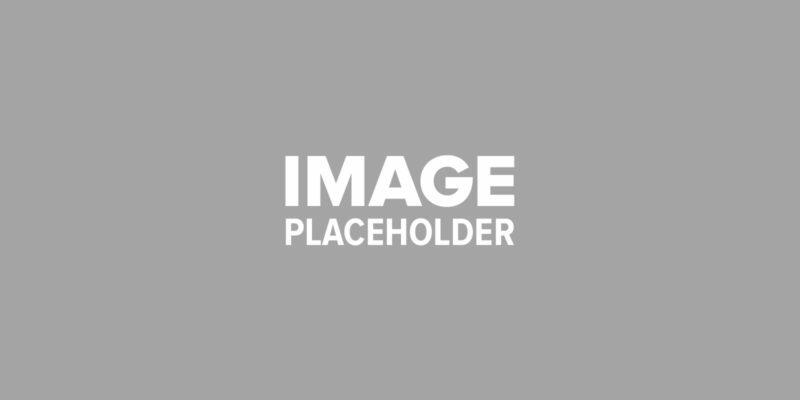 Offers accessible tent city. Should visit in December or January during full moon night. Offers pick and drop to airport and station along with complimentary sightseeing. Food served is awesome and offers multiple vegetarian and jain options. Must try Lilva kachori if served. 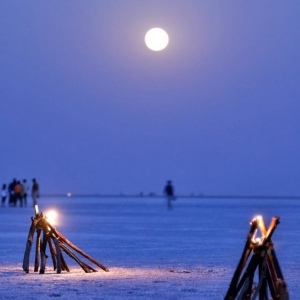 Rann Utsav takes the most unique aspect of Kutch, i.e. 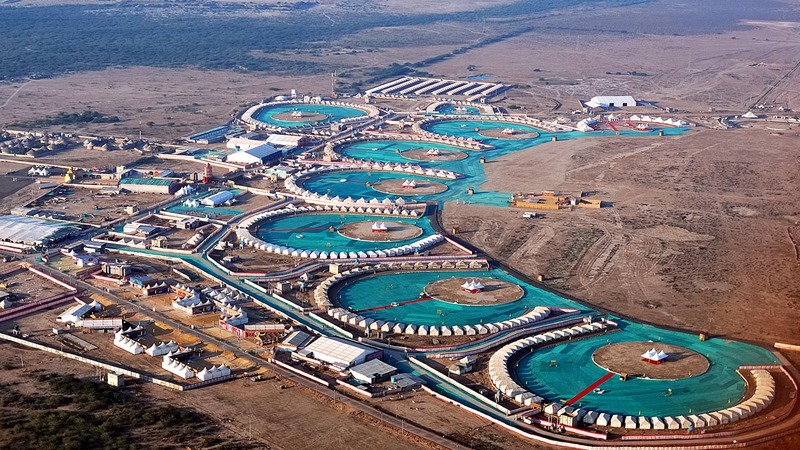 India’s only flat salt bed, the White Rann, and blends it with everything else that is associated with a perfect holiday – adventure, comfort, variety, food, culture and above all fun. 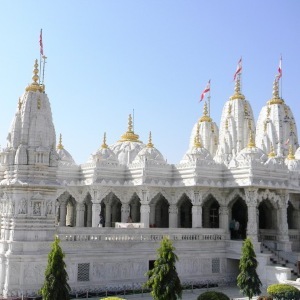 Undiscovered for decades, this magnificent beauty was initially celebrated as a 3 day festival. But as the news about the annually held gala of festivity spread, Rann Utsav turned into India’s Biggest White Desert Festival of more than 100 days. Rann Utsav comes with an array of local culture, dance, music, food, festivals and traditions attracting many tourists from all over the world as well as India. 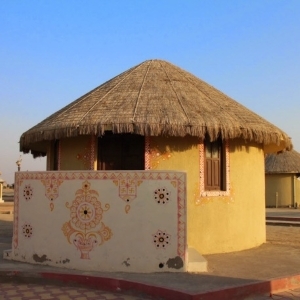 During the festival, Gujarat Tourism arranged for stays in luxury tents that let you experience the local traditional lifestyle and culture. The perfect destination for your winter vacation, book your stay with a variety of Tent City in Dhordo packages mentioned below. Tent City Dhordo © 2018. All Rights Reserved.